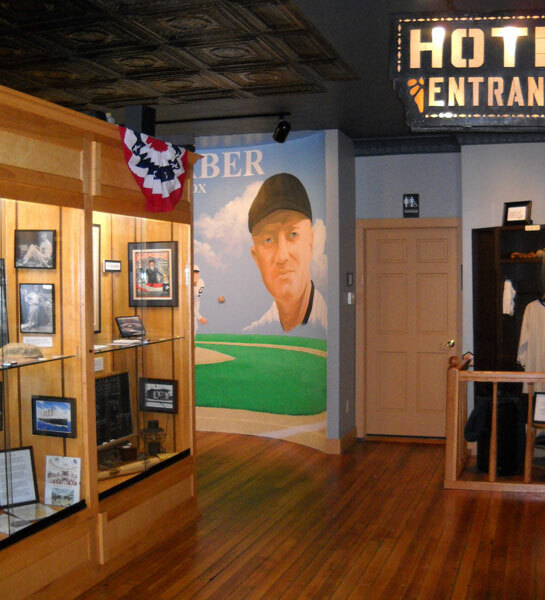 On the first floor of our main building we have an exhibit highlighting the life and career of Baseball Hall of Famer, Urban “Red” Faber. Red’s exhibit who played during the “Deadball” era of the early twentieth century for the Chicago White Sox has been described as “as good if not better than any display in Cooperstown” by many baseball authorities. This exhibit compliments a fully assembled replica of a box car from this railroad located on the grounds of the museum. From the “War of Rebellion” until the present time the citizens of the Tri-County area has contributed by proudly sending some of its young men and women to serve in our Nation’s military. Our Veteran’s display has artifacts from the Civil War through the modern era and an exhibit on “The Home Front” during WWII. A Power Point presentation of local veterans is a work in progress as families of the area’s veterans both living and deceased are encouraged to add their photos to this exhibit.